Chris Martin, CEO of Martin & Co., heads a company with the most celebrated history in the landscape of luthiery. 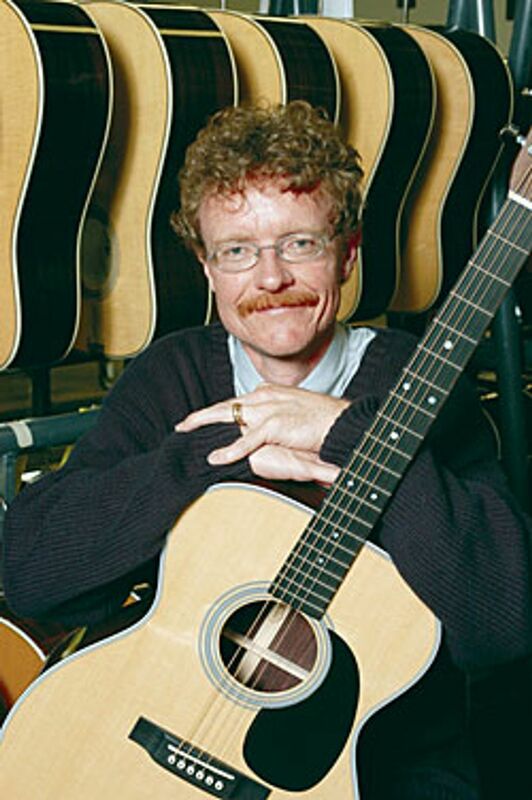 We talked with him about his participation in the MusicWood Coalition and hit on other topics that we couldn''t fit in our print edition - like how the depletion of resources led to the creation of the D-35 and how today''s guitars might just be better than the prized vintage ones. Outside of the MusicWood Coalition, what other things are you involved with? This probably goes back 15 years, we began to realize that the materials were getting scarcer and the price was going up. We took a closer look at what we were willing to accept and we kind of realized that we had painted ourselves into a corner with they way the wood looked. One of the first things we did was expand the parameters within which we will accept wood that is supplied to us, based on the appearance of it. We had to do some education with our dealers and our customers and say, look, just because the wood has some character to it doesn''t mean that it''s defective. We still get customers saying, "Oh, I want the perfect looking piece of wood," in which case I say, "Well then you''d better buy a D-45, because that''s where we use the perfect wood." They''re very expensive, and they''re very rare, and then people get it. We were also involved with the Forest Stewardship Council several years ago. We introduced a guitar where the back, sides and neck were made out of cherry and we were using some spruce that was reclaimed - it was part of a tree where most of it was used for a different purpose, and there was a section left over that couldn''t be made into lumber but made a fine guitar top. Unfortunately the FSC tightened up the requirements to be FSC certified, and we walked away. We continued to make the guitars, and put our own labels on them. We are now back in conversation with the FSC because they''ve realized that they can''t make their restriction so high that nobody can qualify to be certified. What were the criteria that were so hard to meet? I''m not exactly sure; it was a couple years ago. I think they wanted us to be responsible for everybody in the supply chain. We can be responsible for the people that we buy the wood from, but we can''t guarantee the behavior of people three or four vendors removed. We are having a wood summit and all of our vendors are coming in and we''re going to talk to them about what they see in the short term and long term. We''re going to try to encourage all of them to become FSC certified. The guitar made with the cherry and reclaimed spruce, is that the SW model? How has the response been? Yes. It was slow initially, particularly from the dealers. They are used to selling very traditional guitars made from very traditional materials, and we actually had to put in our dealer agreement that if you were going to be a Martin dealer, you were going to buy one of these. They were not doing it voluntarily; it was kind of a shame. I think now there''s more talk about global warming, and just how small the world is, and people are becoming more open-minded about what a guitar can be made of. How do you help your customers transition to different woods than they''re used to? We show the guitars at trade shows, we do press releases, we talk about it - the fact that you''re writing this article is going to make the consumer and the player more aware of these alternatives. Sometimes they have to go in a music store and look for this guitar. You go into a music store today, most of the guitars are still going to be made of rosewood and mahogany. You really have to pick and choose and say, "What''s that one?" The one thing we''re happy with is the sound. We wouldn''t use a wood that didn''t sound good. We''re not compromising on the sound, they just look a little different. 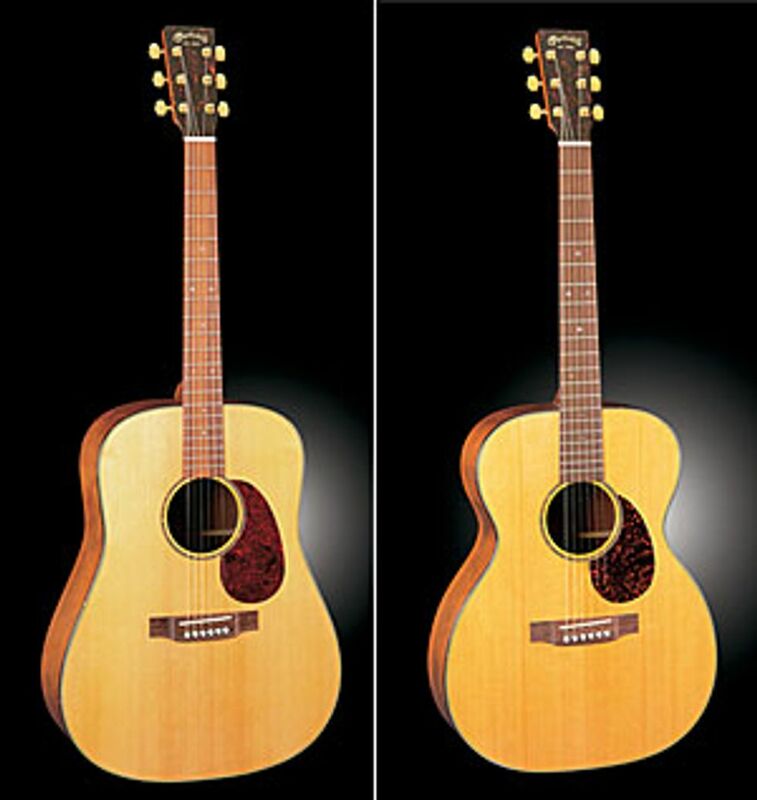 How do man-made alternatives, like laminates or micarta compare tonally? They are very durable. They have a good sound initially, but they don''t have the rich overtones. That''s the first thing you''ll notice - the sound decays a lot faster. Some of these, particularly the exotic hardwoods, they can just ring forever.